In The J sound in Spanish language, posted 2 June 2014, we looked at the rough sound of the letter J  and the similarities of the sound of the letter g when followed by the vowels e and i respectively (g + e and g + i sounds) as in : jefe / gente, Jirafa / girasol . We will look at the “two sounds”  of the letter g and some variations. Plainly speaking, I will call the first sound “the gargling g”; and the second sound “the rough g”, which is the one we have seen in a previous blog. g + a: el gato, las gafas, el garaje, la gallina, la margarita. g + o: el musgo, el mango, el órgano, el gobierno. g + u: la gula, el ángulo, el gusano, los guantes, el gusto, el agua. el dogma (dog – ma) , la ignorancia (ig-no-ran- cia) , la ignominia ( ig-no-mi-nia). g + l : el gladiador, el glaciar, la globalización. g + r: la gramática, grabar, la gruta. 1.4 – When the letter g is followed by the letter u, followed by the vowels e or i. Then the letter u is silent. g + u + e: la guerra, el gueto, el Guernica, el guerrero. g + u + i: la guía, el guión, Guinea, la guitarra, el guiso. Gnosis and the related words gnoseología and gnoseológico must always be written with the letter g; and this is in order not to confuse these words with nosología and nosológico. g + ü + e: la cigüeña, el paragüero. 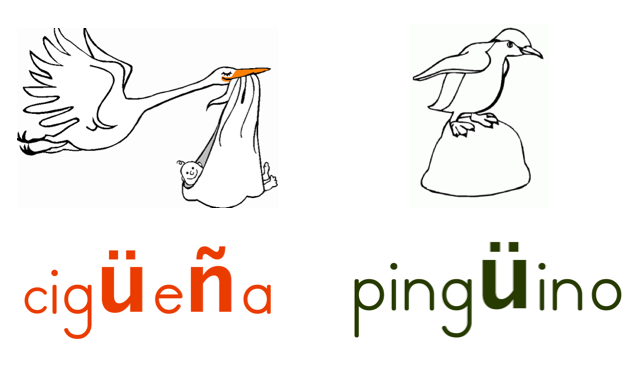 g + ü + i: el pingüino, la lingüística. 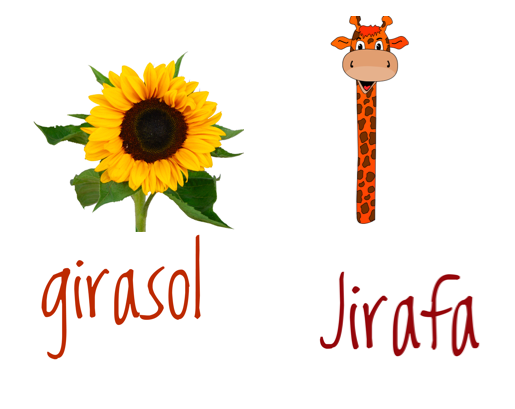 ji : gi Jirafa /girasol. G + e: Gerónimo, la gelatina, Argentina, la agenda. G + i: el girasol , el gimnasio, gigante, Ginebra. As discussed in The J sound in Spanish language, the pronunciation regarding the g + e and g + i sounds are prevalent in the centre, east and north of Spain and in wider regions of Latin America. 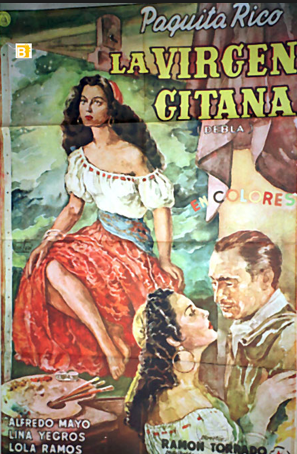 There are however some variables in the pronunciation of the letter ‘j’, for example in the south of Spain, Canary Islands and some Caribbean Spanish speaking countries, where there is a tendency to aspirate the ‘g’ sound [ahénda] instead of agenda and [hitána] for gitana. 1. 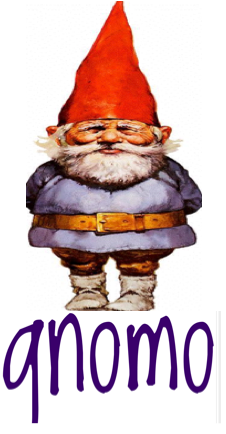 Phoneme is the smallest distinct linguistic unit of sound used to differentiate one word from another. 2. The link from the University of Iowa website click here has interesting Spanish phonetic recordings demonstrating the “gargling g sound”. To listen to sample recordings of the phonetics mentioned, click “fricativas” and below the “fricativas” list, please click [X]. There are two [X] options. 3. These phonemes are known, in Spanish, as oclusivo velar sonoro. One is known specifically as oclusivo and the other is known as aproximante. 4. The link from the University of Iowa website click here has an interesting Spanish phonetic recording demonstrating the “rough g sound”. To listen to the sample recordings of “the gargling sound” of the letter g, click “oclusivas” and below the “oclusivas” list, please click [g]. 5. Dieresis is a symbol consisting of two dots ( ¨ ) placed over a letter, commonly a vowel. 6. Also known, in Spanish, as sonido velar fricativo sordo ‘j’. Muy útil para mi clase de español. Gracias! Explicaciones sencillas y excelentes ejemplos para docentes y alumnos de español!! !